We get a bit of a bottle show this week for Continuum, as almost all of it seems to take place in the Vancouver Police Department, or in Alec’s (Erik Knudsen) new digs, supplied to him by Kellog (Stephen Lobo). Kiera (Rachel Nichols) is having a tough time, if she were in 2077, today would be her son Sam’s birthday, and it’s beginning to wear on her. In fact she comes close to breaking a couple of times, but today really isn’t the day for that as Internal Affairs strolls into the building to shut down the department until they find the Liber8 mole, escorting Dillon (Brian Markinson) out as they do. As Alec begins to play with his new toys, as well as the schematics Jason (Ian Tracey) gives him for the time device. As Agent Gardiner (Nicholas Lea) and Nora Masters start their hunt, they have Kiera right in their sights, which leads to a violent outburst on her part, causing an emergency shut down of her computer system, and the activation of the cognitive therapist (Alessandro Juliani) – welcome to Quantum Leap Continuum style. 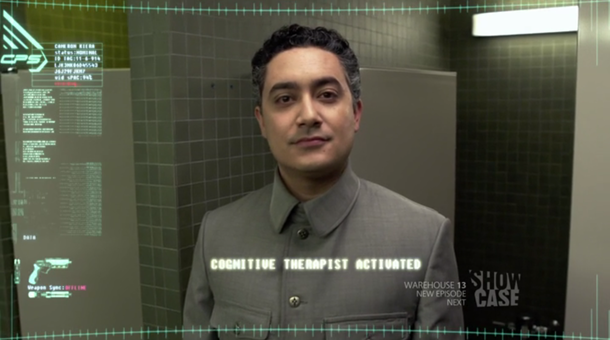 The therapist appears as a hologram that only Kiera can see and hear, though Alec can see him through her feed. The therapist is on hand to evaluate her for duty and eliminate any memories that seem to be causing her problems, which in this case would be any memories of her life in the future. Instead she tries to work out her grief, loss and guilt over leaving Sam, while the sharks of Internal Affairs circle closer. The investigation leads Gardiner not only to Kiera but also to Betty (Jennifer Spence). Keira not only has to deal with her issues, including actually coming to terms with the idea that she may never get home or see Sam again, but she has to get into Betty’s office to erase files that would incriminate the both of them. It’s a nice little bottle show of an episode actually, and though I thought perhaps it could have been a little more tense in terms of the mole hunt, it did have a nice emotional arc. I will say that I was disappointed by the reveal of who the mole really is, it seemed like a bit of a let-down, but I guess we’ll see how that plays out in future episodes. I like Alec being tempted not only by Kellog’s offer, but staying in control enough to own more stock, but in the schematics that Jason brings him as well. Jason has always been a fun character, and I believe there may actually be more going on with him than we’ve learned so far. Rachel got to run the emotional gambit this week, and it was nice to see Kiera be put through her paces like that. Sometimes it’s easy to just say oh yeah, she has a kid in the future, she wants to get home, blah, blah, blah, but to force her to deal with it like that serves to remind the audience how important Sam and the future is to her. 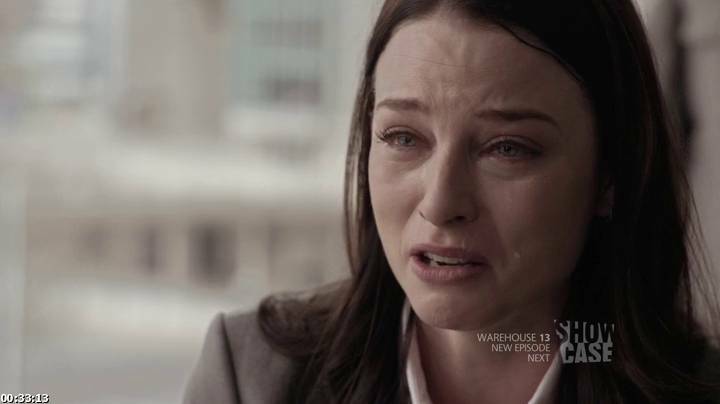 Continuum airs Sundays on Showcase.